← Billy Returns To Buffalo BIG Time!!!! Rock Show Critique: You’ve played in quite a few bands/projects throughout your career, So why Mr. Big, right now? What brought you guys back together. 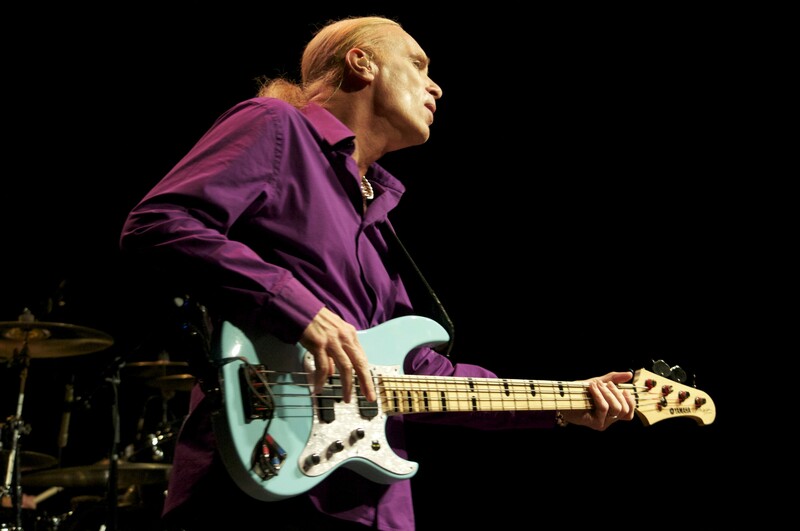 Billy Sheehan: Well we have played together for a long time, done a lot of records, a zillion shows and stopped playing a few years back. 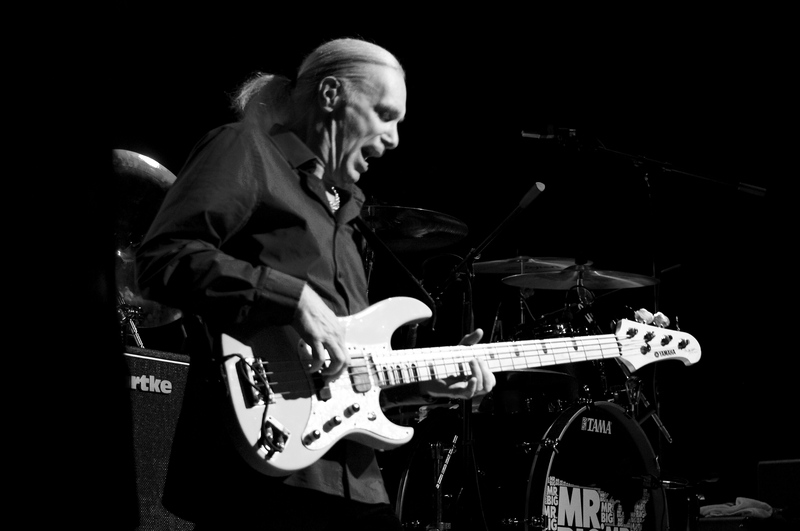 Mr. Big was the band all four of us have had the most success in. Fans everywhere were always asking When’s Mr. BIg getting together, when’s Mr. Big getting together. In my mind I never thought we’d play together again. I thought its run its course and farewell. All of us evolved a lot musically and personally It just came to a point and time where somehow it was in the cards, we decided to get back together again, and do some playing it came out better than any of us had expected. More widely accepted and applauded for getting back together than we had thought it would be. On top of that to have done a record and have the type of reviews we had on it so far, which have been overwhelmingly good I’m very pleased and humble to say. It’s just been a good thing so whatever the images behind it in retrospect it was a very good idea. I’m very, very pleased to be playing with these guys again and have them as my friends again for sure. RSC: So how has the tour gone thus far? B.S. : Swimmingly. Just great, smooth. We started off, the first show in Los Angeles in fourteen years or something like that, I don’t even know how long it had been. Then we went over and did Japan right after the quake. We were the first band in, everyone else cancelled, we didn’t. We went in anyway we raised a lot of money for Red Cross and for Earthquake relief, left from there went to the rest of Southeat Asia, China, Taiwan, Korea and Philippines. That was spectacular too, Taiwan was over the top, The Philippines was out of control. From there we went to Europe, european festivals and shows. We played a lot of real heavy metal festivals and we’re not really that kind of band. We’re more of a hard rock band. People were very kind to us. The audiences were really great even the super heavy metal bands were on the side of the stage watching and were very friendly to us. I was very pleased to see that, it was very cool. From there went directly to south america did a bunch of countries and cities there and that was out of control, now were are here in the USA and we finish this and go to Europe and Indonesia and not I’m not sure what happens after that. RSC: What happens next for you? Any projects that you can discuss in the works? RSC: How do you guys go about making the setlist, I don’t see Wild World which is one of your biggest hits, and I also see you have been rotating new songs in and out with regularity. B.S. : Well we try to do the setlist kind of like a movie. Start out to get everyone’s attention. Then as a fan if I hear too many new songs that I’m not familiar with I kinda lose interest so we try to space out any new songs and sandwich in between songs they might know. I know myself as a fan I saw Judas Priest recently and they did a whole bunch of new songs I never heard before, ever. I’m sure they’re fine songs but I wanna hear “Breaking The Law”, “Electric Eye” and “Screaming For Vengeance” and stuff like that so it was kind of a drag. So we try and balance that out, we don’t wanna be a slave to anyone’s particular tastes but we do want our audience to enjoy the night. We try to make the set dynamic with ups and downs. We’ve got “Just Take My Heart” in there as a ballad which in the middle of the set. Of course “To Be With You” too, so doing three ballads in the night with “Wild World” in there as well would make it for a lot of slow down. Dynamically it would put a crimp in the set a little bit, but we may throw it in at some point. RSC: Will there ever be another full Talas show reunion? B.S. : I hope so. We actually tried to put something together for this summer but it just didn’t pan out. But I believe at some point we will be able to pull it off. RSC: When you came back home on 9/30/86 playing on the Eat Em’ and Smile Tour, how did you feel about getting the key to the city, and that show in particular? B.S. : Well that was some day. I remember being at the Hotel and someone slipped a copy of Guitar Player Magazine under my door and I see that I am on the cover and won my first Best Rock Bass Player of the year. Then I get the key to the city, and played in front of my hometown and to play at The Aud in that way was special. It didn’t really sink in until after the show when I got on the bus of what had happened, it was quite overwhelming. RSC: Do you have another favorite Buffalo memory either playing here live or anything musically related? B.S. : So many memories but I do recall a time when we played the Wehrle Drive-In and there were way more in attendance than expected and we played something like seven encores and ran out of songs to play. Buffalo will always be very special to me. It is where I started and wherever I go Buffalo is always with me. 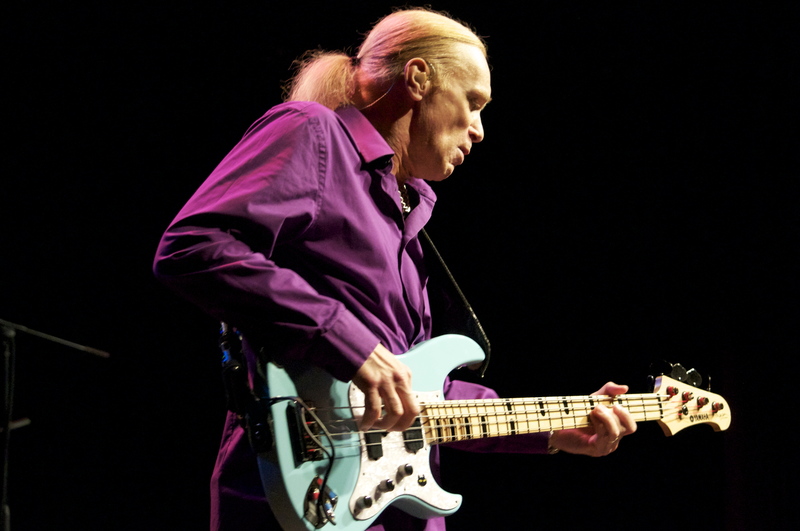 We would like to Thank Sammy Mazur for setting up the interview and Billy Sheehan for his time.